It's fair to say that the 2018 Club World Cup is not exactly going to plan as per the strategic desires of those bigwigs at FIFA. Ideally, Real Madrid would be facing off against Mexican side, Guadalajara, today in a semifinal encounter that would see the winner take on the South American champions of River Plate. Hello ratings city. Unfortunately for FIFA, the concept of free-willed and free-wheeling sport got in the way and Madrid are playing Japanese spoilers, Kashima Antlers, who defeated Guadalajara in the quarterfinals. What's more, the winners will be taking on Al Ain of the United Arab Emirates, a team playing on home soil who defeated River Plate on Tuesday in a penalty shoot-out. However, speaking ahead of this morning's game in UAE, the main topic of conversation for Real Madrid boss, Santiago Solari, was...of course...Jose Mourinho, and the chance of the 'Special Gone' returning to Madrid to make Solari's spell on the Bernabeu bench very short indeed. "How could I worry that there is speculation about Madrid, that happens every day" noted the cheery Argentinean, who is trying to lead Real Madrid to a third Club World Cup title in a row...or give Florentino Perez another reason to hire Jose Mourinho again. Join the XTRA tonight at 7PM ET / 4PM PT to find out if Jose Mourinho rejoining Real Madrid could actually happen. Moving nicely back to the uber-topic of Jose Mourinho, and Manchester United have announced the name of the lucky individual who will manage the team until the end of the season when yet another coach is set to be appointed. That figure is a familiar figure to United fans with former forward, Ole Gunnar Solskjaer, taking over in a caretaker capacity. The Norwegian has had successful spells with Molde - less so with Cardiff City in the Premier League - and is joined by former assistant to Sir Alex Ferguson, Mike Phelan. Solskjaer was the ultimate super sub for Manchester United in an 11-year spell at Old Trafford that saw the forward scoring the winning goal for the Red Devils in the 1999 Champions League final. "Manchester United is in my heart and it's brilliant to be coming back to this role," beamed the new boss, whose mission is to lead United into the Premier League top four, past PSG in the Champions League and turn the frowns upside down of pretty much everyone working at the club after a fairly troubled spell under Jose Mourinho. There is a spring in the Lederhosen-clad step of the Bayern Munich players today as the Bundesliga side has the chance to play catch-up with the top of the table. A defeat to Borussia Dortmund on Tuesday means that Bayern can close the gap with their rivals to six points, if the not-insignificant challenge of RB Leipzig can be overcome today. The League Cup quarterfinals continue in England. Arsenal and Tottenham lead the way in a North London derby while Chelsea takes on Bournemouth. Manchester City and Burton Albion both secured their berths in the semifinals on Tuesday. The French Coupe de la Ligue also continues and there is a big double bill of action live on beIN SPORTS starting at 12:40AM ET / 9:40AM PT with Lyon at Amiens. That game is followed directly by Marseille hosting Strasbourg. PSG squeezed past Orleans on Tuesday to move through to the next round. King Zlatan has said that he should never been part of any TRANSFER TRACKER! speculation this winter and he never, ever, ever intended moving to Milan, despite lots of 'who knows' type comments when asked previously. "There was a lot of talk, but I never left," intoned the LA Galaxy man who could be joined by Jose Mourinho as boss? Maybe? Speaking of Milan, the San Siro side is looking at signing up Sevilla misfit, Luis Muriel, in January either on loan or permanently. The Sun has gone all out on Wednesday by suggesting that Isco will be leaving Real Madrid. Not that unusual, but it could happen as early as January and Chelsea could be the destination, rather than Manchester City. 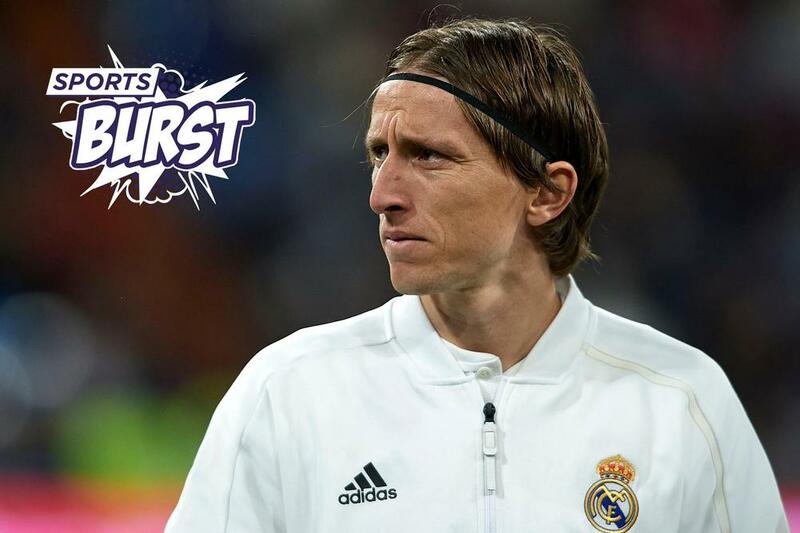 See what our panel of pundits makes of that on the live Sports Burst show at 12PM ET / 9AM PT on the beIN SPORTS Facebook page. Previous Sports Burst - Mourinho Out!